Amish have attempted to settle in North Dakota on numerous occasions. They’ve paid much less attention to the other Dakota, better known for its communities of Hutterites, Anabaptist cousins to the Amish. While North Dakota has no existing Amish communities today, a single Amish settlement is now found in South Dakota, started by Wisconsin Amish in 2010. In July of 2010, the Yankton Press & Dakotan reported that 5 Wisconsin Amish families (hailing from the Tomah Amish community) had settled the area near the town of Tripp in Hutchinson County in southeastern South Dakota, “with more families expected soon” (‘Elbow Room’, Yankton Press & Dakotan, Randy Dockendorf, July 17, 2010). The group made news as South Dakota previously had no Amish presence, though numerous Hutterite colonies have long existed in the state (the largest US Hutterite presence is found in South Dakota, with around 60 colonies). It was also noteworthy in the context of greater Westward migration by Amish to states such as Colorado, Nebraska, and Montana. New settler Mary Borntreger explained that the group “needed some elbow room” as the Tomah community had gotten too crowded for their liking. Borntreger also described receiving a warm welcome from the local English community. The Hutchinson County group is a conservative bunch, using buggies with removable storm fronts and relying on neighbors’ phones when needed (‘Elbow Room’). On arrival, the newcomer Amish erected barns and began holding a weekly bake sale (‘Study: Amish expand westward, including South Dakota’, AP/Rapid City Journal, July 28, 2010). This settlement is very young and it remains to be seen how it will develop, though early reports seem positive that more Amish intend to settle the area. When you are a group of Amish such as this group here, how do you go about first making the decision to relocate, then where to relocate to? How do you know this would be a good location? I guess I am particularly interested in how they would research the area first? In today’s world of computers to make research easier for most of us I don’t imagine a “conservative” Amish group would utilize a computer so just how do they go about gathering information before they pick a location? Do they pay for reference services? Having just completed another reference class (for my LTA certificate), I’m wondering if they don’t pay for reference services(like other “researchers” do in the medical/science fields)…or even have “English” friends do the internet searches for them for free? Do they use Realtors? I guess it would depend on their particular group, and how conservative they really are. I don’t see how different it is (having the English do research) from being driven in cars to distant towns for medical appts., or visiting. Like you, Alice, I’m interested in what it takes to decide to move to a very different location. Who decides? The Bishop? Who is “allowed” to settle elsewhere…or, are you TOLD you have to go? I’ll be watching for comments on this topic! Interestingly land agents would often target Amish and Mennonites to settle an area as they were seen to be good for the local economy. So you would have handbills and ads directly marketing to Plain people, in both English and German. Alice M, on realtors, yes some Amish do use real estate agents. There is an interesting section on this in the book Amish Paradox. What’s funny is you actually have a few Amish actually even becoming real estate agents. I remember seeing this occupation in an Amish directory a number of years back, which surprised me at the time, but now, not really. As to reference I am not sure I have a good answer b/c not exactly sure what type of info you mean…but Amish will of course use public libraries, and some have internet access in other ways (cell phone, non-Amish workplace). But certainly not all or even most do, and you might have someone getting some help from an English person. I’ve looked up stuff online before for an Amish friend. The decision to resettle is really a personal one, based on any of a number of factors. Could be for better economic opportuniy, less congested area, or simply to found a church with Plainer standards. There are some amish/Mennonite folks here in Oklahoma, but they are more toward the middle of the state. We’ve had alot of farmland change hands in the past few years and some just use it for sod grass production. There is currently a big amount of good soil for sale with two well stations on it in roland oklahoma on hwy64, i would love to have these sort of people for neighbors! I don’t know how to get the word to them. With alot of factories closing it’s a great opportunity for a self-sufficient people to take advantage as more land will become available when people move away or get too old. Do you know any Amish agents that could spread this word? Even before the scouting trip to check it out, what would give the idea to go to a particular area? Especially one where there are no Amish there to begin with? I can understand the land agents targeting plain people to move to an area. But aside from that, I really don’t think they throw a dart at a map and then think “let’s go check it out.” After all, even though they can hire drivers and such its still a lot harder for them to just pick up and go than it would be for us “English”. Alice Mary brought up a good point about possibly having some research it for them. I guess my own desire to move someday and doing a lot of research of other areas has led me to these questions. I know I can’t afford to just pick some place on a map then take a scouting trip. That is a big investment in time and money to not have a pretty good idea before hand that I would probably like the area. Good point Alice A, you may hear of an area which is popular among other Amish groups, for instance. Like in New York, Karen Johnson-Weiner describes in her book at least a couple of cases where Amish groups settled near (but not too close) a pre-existing community that was of a different affiliation. It’s a good question though. I’m sure there is research that would go into it in many cases. You’d really want to know what land prices are, will there be a ready market for your milk, and if you’re lucky what you might expect from non-Amish locals. I’m also sure some have noticed areas while on trips to other places–settlements or even say a hunting vacation–which has led to the idea to relocate. If I recall correctly I believe that is what happened with the Lancaster Amish who ended up in Wayne County, Indiana in the 1990s. I imagine they would have to research for a long time. I know I sure have and I am still not sure where I would move to if I had the opportunity and the money, LOL. When our forefathers came to SD, the realators advertised in English and in German to get the immigrants from Europe to come here. I question the advertising in German to entice Amish today, as all Amish speak English remarkably well, even without accent, unlike the many Hutterites already in SD. I would say part of that is the Amish have much interaction with “the world” unlike the Hutterites who live isolated on communes far from town. Thousands of Amish come through SD every year to doctor at the famous Ortman Clinic in Cansistota so this is how Amish were familiar with this area and they struck a deal with a local auctioneer I believe in getting their land to settle here. After the first year, they’ve already had a family sell out to an “English” man and they’ve left SD. I’m sure to many Amish who come from places with high land prices, SD land prices seemed reasonable but the Dakotas do not have the climate that eastern states have. That’s why Amish settlements in the northern Dakota failed. My “Central Plains (Amish) Directory” indicate that the first 3 Amish families to arrive in Tripp,SD was April 28th 2010. A Bishop, a deacon and another family. All of them were closely related. May 19th 2010 another family came from Tomah, Wisconsin. May 27th, another family, then August 26 yet another. Most of the cropland was rented out for 2010 yet so they spent time on building projects. 5 dairy barns were built that first summer plus two machine sheds, one house and a basement house. They got themselves a trailer house and used it as a school. In 2011 2 more barns and 3 houses were built. One of the families moved to Minnesota in June 2011 but another family moved in, from Minnesota. A proper school house was built. Shortly after the first families arrived to Tripp they found that the closest Hutterite colony was a close distance away. The Hutterites came to visit often and they would bring garden items and chickens. The English people in the area also were friendly and not as modern as some from back East. I am hoping to take a trip to Tripp in March with a stop in one of only two Amish settlements in Nebraska along the way. (Orchard,NE) Looking forward to the trip, though it’s still winter. In talking with the Bishop he says the group was pretty well welcomed to the community. The only brouhaha mentioned by the Bishop was when one or two locals didn’t like the horses droppings left behind. Most people did not have any problem with it. The older I get the more I want to have a self sustaining farm off the utility grid. I have land near Newell, SD, but no know-how, so the land is basically vacant. I am not Amish and admit to being a “gawker” when I see Amish people because of the novelty of it. It would be great to have Amish neighbors. I know they don’t usually have many dealings with “Englishers” but I feel there is so much to be learned from their lifestyle. I am not looking to convert to Amish because I’m too dependent on modern conveniences and would be shunned, if not banned, in record time! Who or how would I contact an Amish bishop to discuss possibilities of having some families move near Newell? If you send me an email I can tell you how to contact the Bishop in Tripp, SD. I am not sure what factors they look at before they move to a new location, but I assume, just like it would be for English people, the price of the land, growing conditions, other avenues to bring in money besides farming, and access to bus/train service that is not too far away. Some would not want to move unless a location had a good chance of having enough families to create a church group. (a Bishop, Deacon and 2 Ministers) Newell, SD is some 360 miles from Tripp, SD. Ashland Montana is ‘only’ 164 miles away. They started up in 1997, not sure how large they are now. There are some conservative Amish, and no, there is not a good chance you could join them, but they interact with English people all of the time and you could make pretty good friends. And maybe if you had a mind to you could sell off what you have there already and move someplace where the Amish are already established. Hey Tom Geist saw your name in the Budget. If you have seen your land near Newell, you will understand the difficulty even “Englishers” would have making a living in that country with hundreds of acres and the impossibility of Amish trying to do it on much less. The federal gov’t years ago opened that country to homesteading. No one could live on 160 acres out there and not starve, so they pulled up stakes and left, land got grabbed by ranchers who increased their holdings to thousands of acres and still it’s hard to make a living there. An interesting note on the Tripp, SD Amish. Amish oppose electricity and phones as they do not want to be unequally yoked together with non believers, i.e. nonAmish. This is their excuse that the electric line leading into their farm would also lead into their nonAmish neighbor. However, there at Tripp, they all have rural water. Apparently the water line that connects them to their nonAmish neighbors is out of sight so it makes a difference. They pulled sinks out of homes that had them, putting in hyrdrants outside the houses so they could carry the water in, yet they are hooked to rural water systems. Go figure. Many of them are living on land that was once owned by the Tripp Hutterite Colony. The Hutterites abandoned that area long ago because they couldn’t find sufficient water to have decent wells. The Tripp Hutterites moved to the eastern US in PA at the invitation of the Rappites, a now defunct communal sect. The Hutterites having come from the treeless steppes of Russia hated all the trees in PA so they returned to SD and settled in Hutchinson County on the James River near Milltown. There is no Hutterite Colony even at Milltown. They left and went to Canada as a result of persecution in the First World War. Milltown is a tiny quaint village in central Hutchinson County with the only United Brethren in Christ church in the state. This group too came out of Anabaptism and a merger of Mennonites and Reformed so I guess we could say that their are technically four Anabaptist groups represented in Hutchinson County SD. Five if you count the German Russian Baptists that are located in the southwestern corner and in the Parkston area and the area north of Clayton though the German Baptists north of Clayton closed their church about ten years ago and they now attend Mennonite churches in the area or the Baptist church at Emery in Hanson County. Canistota, SD--- What is the deal here? I get both The Budget and Botschaft Amish papers and time after time I hear of the Amish taking group trips to Canistota S.D. for treatments at the Ortman Chiropractic Clinic. It sounds like this almost becomes an Amish community with all of the people that go there. I have hopes of getting up to that area to check it out but hope others here can give input before I trek 240 miles. Let me first answer your question. No, there is no Amish settlement at Canistota. It is the hope of the world famous Ortman Clinic and any given week there will be about a hundred Amish there. They stay in hotels and rooming houses and come from all over the US as do other Englisch people too. 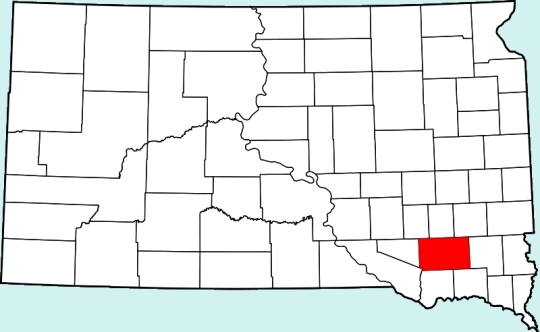 The Ortmans come from a Mennonite background originally and Canistota is near the large “Russian” Mennonite communities in Hutchinson and Turner counties. With the addition of the Amish to Tripp, in Hutchinson County, SD, this is now the only county in the US with representation of three Anabaptist groups. The very large Mennonite community in eastern Hutchinson County near Freeman, the tiny Amish community near Tripp, and the five flourishing Hutterite colonies along the James River in the central part of the county. As for convincing Amish to come to Newell, Maurine, they would never be able to make a living in that area. The arid climate in the Newell area makes it ranch country and not farm country, plus the long distance to population centers which is essential for Amish to survive. Even in Tripp, SD, the Amish experienced being hailed out one year, no crops due to drought two years ago. They had bumper crop last year, and hail again this year. Tripp is rather far from large population center where there would be demand for their products and services. There’s a reason no doubt that AMish have not come to SD before and even the progressive Hutterites have kept away from western SD as the realize it would take too large of land holdings for them to make a living , so they prefer staying in eastern SD which does get more rainfall but rainfall even in eastern SD is not like Iowa, Missouri, Wisconsin and other eastern places where the Amish are used to living. They have also experienced in Hutchinson County that it is hard for them to compete in Farmer’s Markets selling eggs, produce, chickens, etc. with the numerous and well established Hutterites who can and do produce so much more and cheaply. It will be a tough row to hoe in SD. They would have chosen better if they’d settled fifty miles to the east where the population, and rainfall is higher and the competition from the Hutterites in producing farm products is less. Thanks Lee. Lots of good information. SO THAT WAY WHEN I HAPPEN TO SEE ONE IN REAL LIFE.. IM NOT ALL SURPRISED AS TO WHY YOU DRESS LIKE OLD.. IDK HOW TO SAY.. THE FASHION IS SOOOO OLD LIKE WAAAAYYYYYY BACK BEFORE THE TIMES OF “OLD SCHOOL” LIKE MY MOM AND GRANDPARENTS GENERATIONS WERE OLD AS IT IS BUT THEY NEVER DRESSED LIKE THAT.. AND IM NATIVE AMERICAN SO IF I WENT ANY FURTHER, ITS ALL LEATHER-SKINNED CLOTHES AND FEATHERS AND HALF NAKED MEN WITH LONG HAIR BACK THEN SO WHAT UP?? I would be interested in speaking to anyone that can provide information on Amish furniture as it would be perfect in furnishing my rustic buildings. Are there any possibilities for dealership or consignments?